Getting into the City is rough these days but it comes with perks. Frustrated Bay Bridge commuters struggling to keep their tempers at bay are getting some much needed advice and plenty of perks. Wednesday BART commuters were served free hot dogs and tonight they were scheduled to be treated to free chocolate at the 24th & Mission, Montgomery, Rockridge and Ashby Street stations, according to Mission Mission. But the plan to give away free chocolate went into effect before the Bay Bridge closure. TransFair responded by moving the free chocolate giveaway away from BART stations and to nearby locations instead, including the Bittersweet Cafe near Rockridge BART station, Berkeley Bowl near the Ashby BART station, Rainbow Grocery near the 16th Street BART Station and at Fog City News in downtown San Francisco. 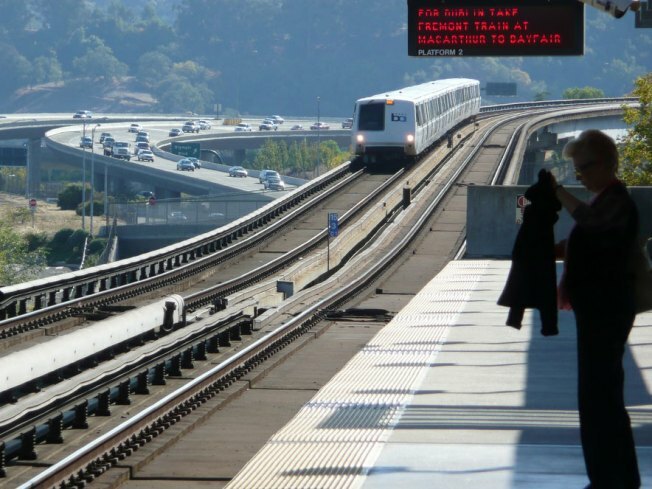 But BART riders are not the only ones with a commute with benefits. Jack London Square will give free ice skating sessions for ferry riders through Saturday. Skating at the outdoor rink on Broadway usually costs $5, with a portion of the proceeds going to the Alameda CountyMeals on Wheels. After all hungry people can stay hungry a little while longer to put a smile on underprivileged commuters faces.